A new Halloween movie is finally in the works and it is going to arrive next year on October 19, 2018. Just in time for the the holiday. John Carpenter is producing with David Gordon Green directing and co-writing the script with Danny McBride, the team behind Pineapple Express. As it turns out, the project was very nearly directed by a filmmaker more experienced in making horror movies. Adam Wingard, the man behind The Guest and the Blair Witch reboot, very nearly directed the upcoming Halloween movie. Adam Wingard, who is currently promoting his movie Death Note, which arrived on Netflix over the weekend, was speaking with The Movie Crypt. During the course of the conversation, he revealed that he very nearly directed the Halloween reboot, but it didn't ultimately come to pass. Though, it very easily could have. Here's what he had to say about it. "You know, I almost actually did the Halloween movie that they're doing. It almost happened, but the deal just kinda fell apart. When I found out those rights were available I was immediately trying to figure out how to get in on that. But ultimately what I realized was I kinda already made my Halloween movie with The Guest. So it felt like it would be retreading on that kind of thing. In a way though, I still want to do a Halloween movie." Even though Adam Wingard says that the deal fell apart, it also sounds like he kind of took himself out of the running to a degree. 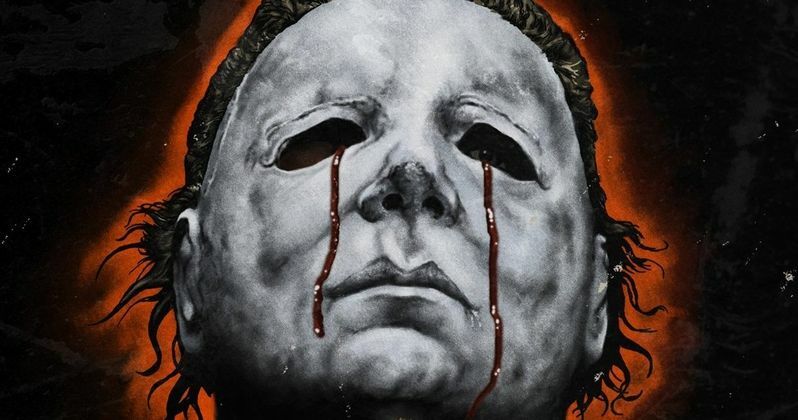 Now it is in the hands of Danny McBride and David Gordon Green, who have been saying all of the right things about their Halloween movie, to revive Michael Myers on the big screen. John Carpenter praised the pitch that McBride and Green brought to the table, but the legendary horror filmmaker actually gave Wingard his blessing as well. "I actually got an email, in confidence, where Carpenter was basically...He actually gave them the thumbs up for me. And I kinda walked away from it like, I just got everything I wanted out of this job, you know. Like I just want approval from dad. And I walked away like, 'This is about as good as it gets.'" Things worked out in the end for Adam Wingard. He recently landed a gig directing Godzilla vs. Kong for Legendary Pictures, which is going to be a massive franchise flick. So that could end up being a bigger deal for his career moving forward. Rumored to be titled Halloween Returns, Blumhouse, the studio behind Split and The Purge, is producing the new Michael Myers movie, which is going to be a sequel but will ignore much of the later mythology and take primarily from the first two movies. We haven't seen a good Halloween movie in a while, so whoever is making it, horror fans just want it to be good. If it isn't, we may look back and wonder what Wingard's version of it would have been.